At long last – after a year of reading it in small snippets between reading, writing and editing – I finally completed Second Foundation. 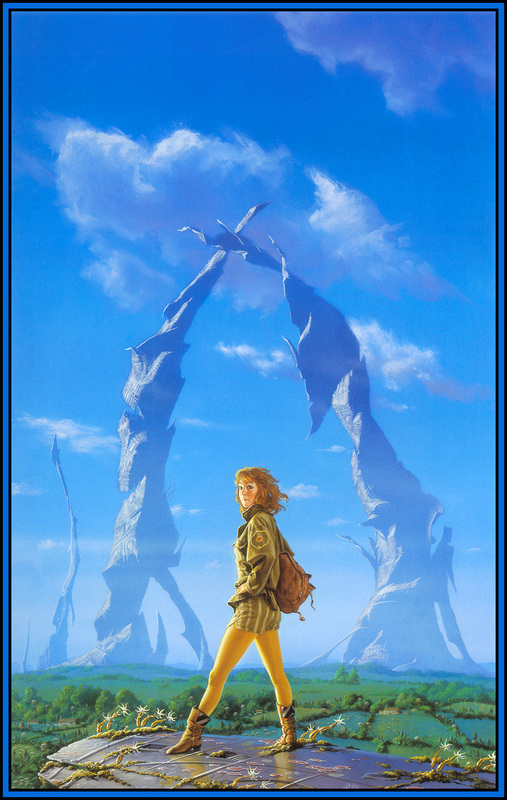 As the third novel published in the Foundation series, it effectively ended the series, though it was followed up by two sequels and several prequels that expanded on the universe further. 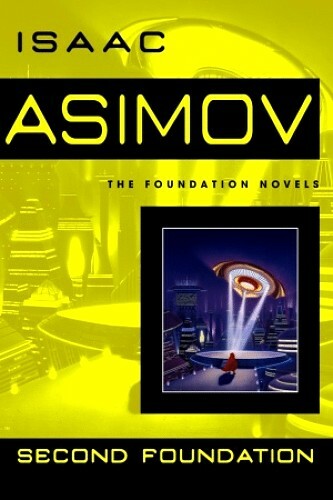 However, given that it would be roughly 30 years until Asimov produced another Foundation novel and pressure from the fan community (and a hefty advance from the publisher) were the only reasons for it, many fans come to see Second Foundation as the final installment in what was effectively a trilogy. I am one such person. And now that I’ve finished Second Foundation, I feel that the series is complete. And I’m rather dying to do a review, seeing as how the books been with me so long and it’s been months since I reviewed an actual novel. On top of all that, its taken me so long to finish this series that I feel a little embarrassed. 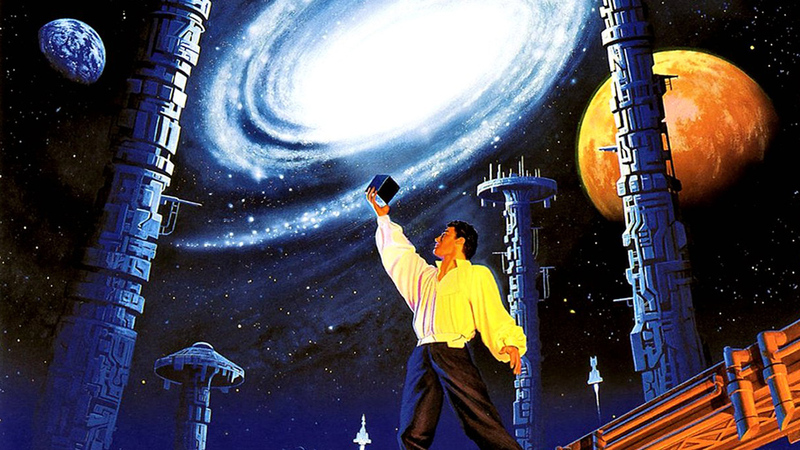 Thank God the international society of sci-fi geeks doesn’t actually exist, or they’d kick me out for sure! Sidenote: Before I begin, note the cover art that is featured at the top there. Over the years, many different covers have been produced, and the current cover for Second Foundation is the one you see below. However, I wanted to feature these ones since they give such a wonderful representation to the original trilogy. 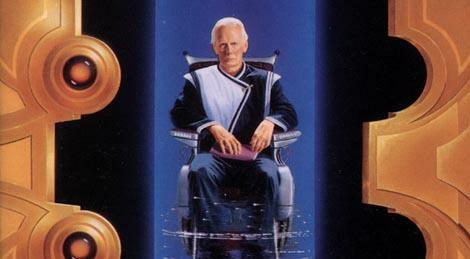 In the first, you see Seldon sitting in front of the Imperial City of Trantor in the days before its decline. In the second, you see the Mule playing his instrument, sitting before a Trantor that lies in ruins. 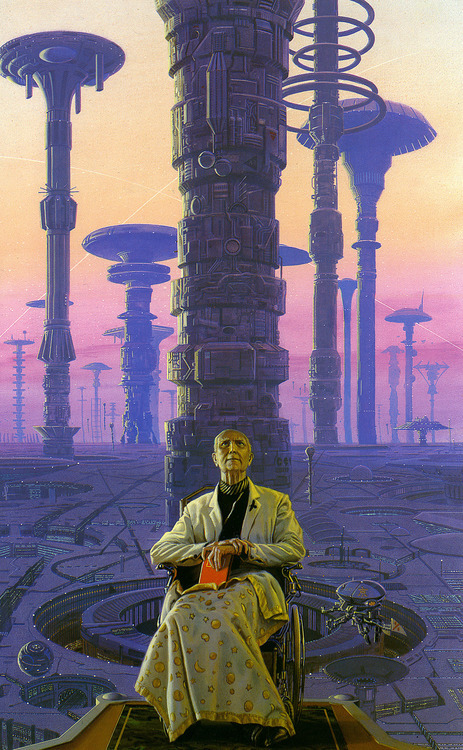 In the third and final, you see Arkady Darrel standing on a Trantor that has reverted to its natural state centuries later, the aged ruins lying well off in the distance. Once you read the full trilogy, you can see just how picture-perfect these representations are. Much like Foundation and Empire, the book is divided into two parts, with the first dealing with the Mule’s ongoing search for the Second Foundation. This part opens a few years after the Mule’s trip to Trantor, during which time, his identity was revealed and his attempts to find the answer in the Imperial library were narrowly foiled. Now in charge of a vast empire centered on the world of Kalgan, he sets out again, sending his fleet in all directions to locate and destroy this last challenge to his power. Knowing the a confrontation is inevitable, the executive council of the Second Foundation meets and decides to allow the Mule to find them, “in a sense”. The search begins when Bail Channis, an officer recruited by the Mule because he exhibits an “unconventional mind”. He is sent out with Han Pritcher, an officer the Mule knows to be loyal but fears has been ineffective due to his own influence over the man. Together, they travel to the remote world of Rossem where, following clues left behind by Seldon (that the Second Foundation is at “Star’s End”), Channis believes they are hiding. When they arrive, they find a backward, agrarian world where the locals are hospitable, but very little appears to be happening. Suspecting a trap and that Channis is in fact a Second Foundation agent, the Mule travels in secret to Rossem and reveals himself, thinking he has caught Channis and the Second Foundation off guard. However, he quickly realizes it is he who has stepped into a trap when the First Speaker emerges to save Channis. The two do battle but in the end, the First Speaker emerges victorious by altering the Mules psyche, which prompts him to return to Kalgan and live out the rest of his days as a benevolent ruler. The story ends with another interlude in which the Executive Council celebrates their victory and now plots to get the Foundation back on track. Part II takes place sixty years later, and fifty-five years after the death of the Mule by natural causes. The members of the First Foundation, led by Dr. Darrel, are now aware that the Second Foundation is out there and secretly discuss how they are exerting influence over their world. This is demonstrated by conducting electroneurology scans, which shows that key members of government have had their minds altered. Meanwhile, the Foundation is also embroiled in an ongoing conflict with the new ruler of Kalgan, who wants to reclaim the glory of the Mule by reconquering the Foundation and subjugating it to his will. Their fleet meets with early success and managed to cordon off Foundation space, but their fortunes soon change when the Foundation fleet surrounds them in a major battle. In the midst of the war, the Foundation decides to send an emissary – Homir Munn, a noted Mule memorabilia collector – to Kalgan to investigate what the Mule learned about the Second Foundation in his final years. Darrel’s daughter, Arkady, sneaks aboard his ship to accompany him, since she is fascinated by the subject of the Second Foundation and Seldon’s plan, and because she is tired of being kept out of the loop by her father. In the end, Munn is taken prisoner and interrogated by the Kalganian commander, but gives up nothing beyond stating that his purpose was to find clues to the location of the Second Foundation. Arkady is forced to flee, and on the advice of the Commander’s mistress, heads for the spaceport and flies with a family back to Trantor. To her surprise, she realizes that the mistress is a member of the Second Foundation, and that they are manipulating things on Kalgan. From Trantor, she sends her father a message and tells him the Second Foundation are on Terminus. Once again going by clues left behind by Seldon, that the Second Foundation was at “the other end of the Galaxy”, she tells him that a circle has no end. Ergo, she concludes that they must have been on Terminus all along, where they could monitor the Foundation and Seldon’s Plan up close. In the midst of this, the Foundation fleet outflanks the Kalganians and wins the war. With the war over and the Foundation victorious. Munn then returns to Terminus and tells them the Second Foundation could not exist. Darrel rightly then reveals that he has suspected all along that Munn has been manipulated by the Second Foundation, and conducts a brain scan to prove it. He then reveals that his work has yielded a telepathic jamming device, which they then turn on. The 50 or so Second Foundation agents that are on Terminus are thus revealed and arrested. Reasoning that they are now neutralized, and with the war over, the Foundation is now free to expand and build the Second Empire. However, in a final twist, another interlude takes place where the First Speaker is conversing with a student, where it is revealed that everything has proceeded by their design. After neutralizing the Mule, the Second Foundation knew that Seldon’s plan was hanging by a thread, hence they manipulated things to ensure that it would proceed on track again. This included pushes the Kalganians into war with them, and then seeing to their defeat, and letting the Foundations find some of their agents and presume to have neutralized with them. It’s also revealed that they had a hand in grooming Arkady Darrel, and that Trantor is the real home, with Star’s End being a veiled reference to the old Imperial saying “all road’s lead to Trantor”. I can honstly say that after many years of stalling and waiting, finishing the original trilogy was quite the relief. And for the most part, I enjoyed the third installment in the original three-act play. 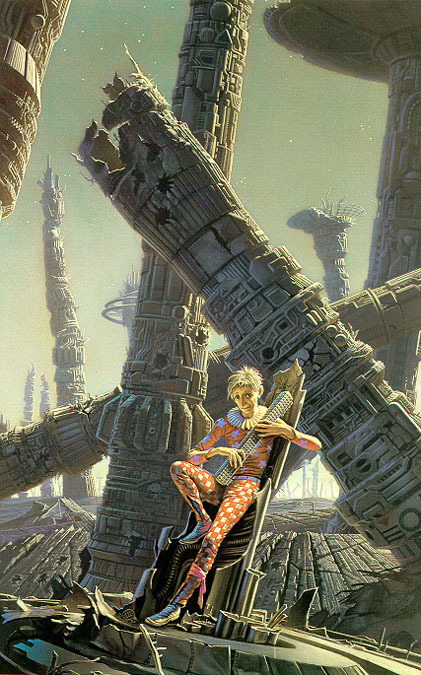 However, there were some weaknesses that did not go unnoticed, and some of Asimov’s little idiosyncrasies which I’ve come to expect over the years. For example, the first story is somewhat dry. Rather than there being any real intrigue and action, the entire section consists of a sort of final, half-hearted act made up of mind games. This certainly feels like the case when during the final chapter, where both Channis and Pritchard, followed by the Mule and the First Speaker, are embroiled in a type of mind war. It’s a constant case of “I got you”, “no, I got you!” kind of thing. And this is how the Mule is defeated and the greatest threat to Seldon’s Plan is neutralized. After being portrayed in the second book as the one factor that Seldon did not plan for, a titanic force that was overwhelming the Foundation and its armies, his ultimate demise seemed rather undramatic. Granted, this was something that needed to be secretive and behind-the-scenes, but it felt it rushed and kind of forced. The second story is much better, containing plenty of intrigue, action, and crisis. And the story flowed quite nicely, beginning at a time when the Foundation feels secure in itself, but a small band of specialists understand that this is not the case, and then culminating in a war and a big reveal. And here, the twists serve a better purpose, showing how the Foundation thinks they’ve neutralized the threat, never to learn that they’ve been helpfully misled. But once again, there was a sense of things being forced and rushed. Towards the end, people are once again revealing that they knew things all along, were better prepared than they had any right to be, and could solve everything with the push of a button or a last minute decision. This time around, its the First and the Second Foundations involved in a case of strategic and mental Jiujitsu, and it feels like there’s a few too many reversals. However, that doesn’t detract much from the ending, which feels like a good completion to the series. After establishing the Foundation in the first book and showing to the progression of Seldon’s Plan, to throwing it into disarray in book two, by this final act, it now appears that the Plan is fully restored and all the principal actors have done their part. 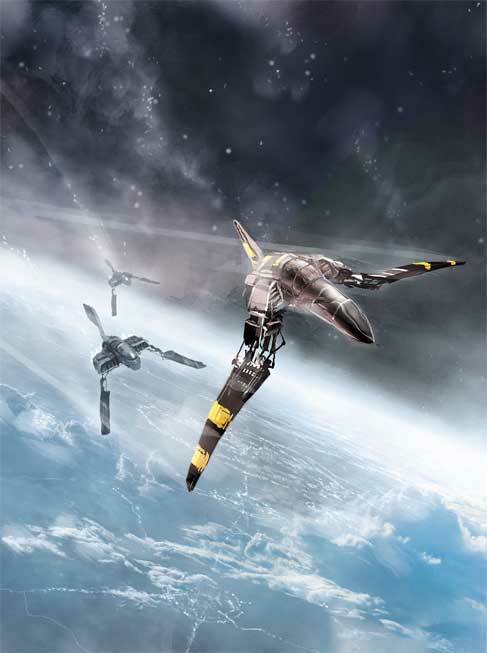 And as the book states by quoting the Encyclopedia Galactica, the war between Kalgan and the Foundation would be the last major conflict before the rise of the Second Empire. Ergo, it would smooth sailing from here on in. 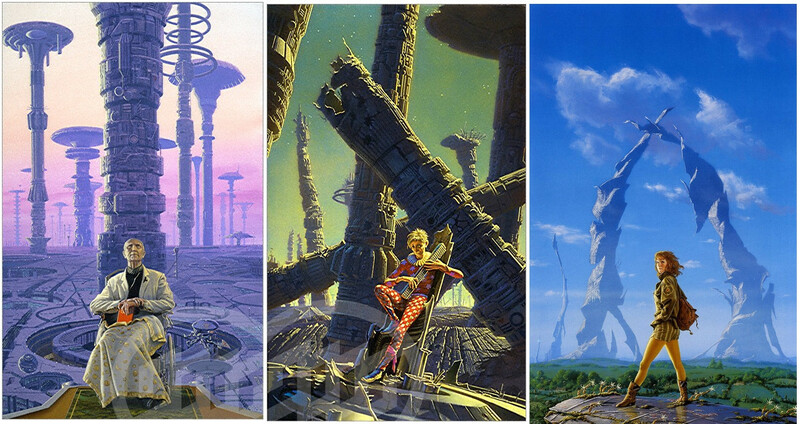 As I said already, Asimov claimed that the remainder of the series was motivated by pressure from fans and the publisher, so I tend to think of these three books as the series in its entirety. And I think the way he ended it here was effective and satisfying. No need for sequels or prequels beyond this point! So if you haven’t read this series yet, I recommend you get on it. While it may have some flaws and apparent idiosyncrasies, it remains a classic of science fiction and one of the most brilliantly original series available. Hence why I felt I needed to read it, and why you should too. Especially if you consider yourself any kind of sci-fi fan or geek!